Many studies have shown that pets offer a multitude of health benefits to their owners. And all those they come in contact with. Below we have outlined a list of fantastic benefits for you and your loved ones. Did you know owning a cat cuts a person’s risk of having a stroke by more than a third!!! Researchers theorize that petting a cat can lower stress or that the type of people who own cats are more stress-free naturally. If you have owned a feline in the past, have you noticed how they have the innate gift of being there for comfort when you are in need? They almost know and can feel when we are upset. In addition, they always try their best to let us know they are there. I know that has certainly been the case year after year. The bond we create with our feline companions is unmatched. We have come in contact with numerous customers who have experienced difficult times in their life; a death of a family member, serious medical issues, depression, loss of a beloved pet, and deployment, just to name a few. They come to us seeking comfort and companionship with one of our beautiful, docile, loving kittens. 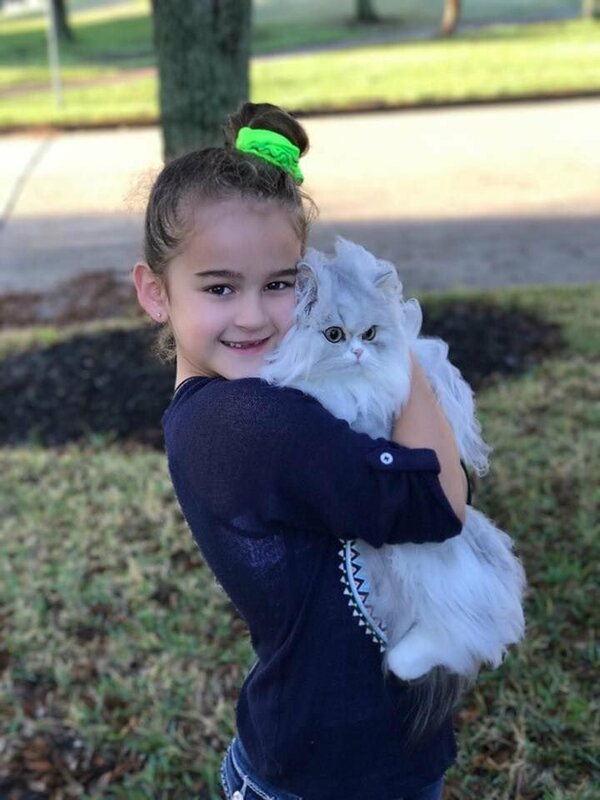 To be able to share our love of the Persian breed, and to know that our kittens have offered so much comfort to our customer means the world to us. Many of our therapy kitties serve as luxury service animals in various nursing & rehabilitation centers across the country as well as several ptsd clients. A huge thank you to all of the customers whose lives we have been so blessed to be a part of!